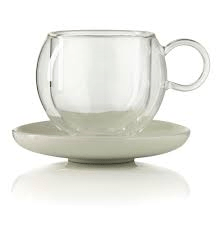 These cups & saucers are the ultimate in Café Culture. Three sizes, 1 cup & saucer complete in each gift box. Insulated double walled glass helps keep you coffee or tea hot whilst not burning your hands. The glass allows you to see the colour and hue of your drink or create layered lattes, cappuccino, and hot chocolates.